How Does a Video Game Make the List? Selecting a popular video game that does not include any kind of graphic violence or abusive language is the most important consideration for young children. Many games in today's world are created with older kids in mind and the more violence the better. "EC" rated games are considered "early childhood" and are suitable for ages three and up. "Everyone" games are technically geared toward people six years of age and up and they may contain a minimal amount of cartoon, fantasy or mild violence and/or mild language used infrequently. 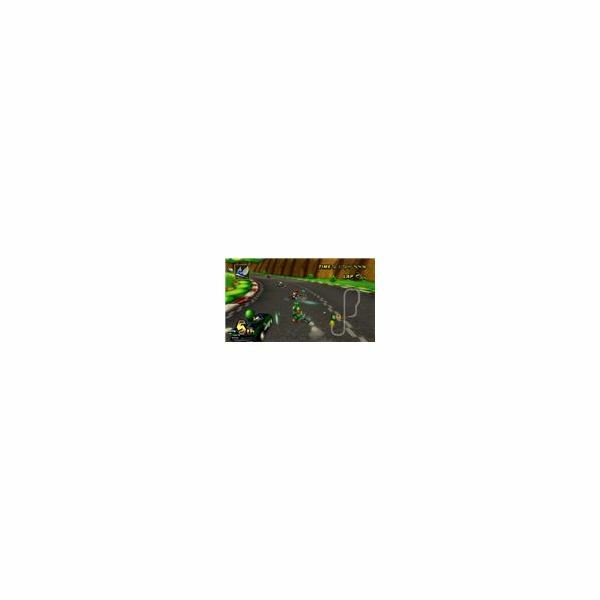 For example, in Mario Kart Wii you can throw turtle shells at your opponents to make their car flip over. However, don't worry because the vehicle will soon flip back over and be drivable once again. It is an example of mild cartoon violence and is merely harmless fun. All the games in this guide to the best video games for the younger kids in your family are rated "Everyone" and are perfect for kids in kindergarten and elementary school as well as adults. Throwing banana peels on the course to try to make other racers spin out or eating a mega mushroom to turn yourself into a giant while giving you a speed boost are both part of the fun with Mario Kart Wii. The game is a racing game, which includes lovable characters such as Mario, Peach, Yoshi and Donkey Kong and fun vehicles such as motorbikes and baby carriages for baby characters. It is even possible to "pop a wheelie" while using a motorbike, which will give you a speed boost. Zip through a variety of tracks, arenas and classic courses. There is a wheel resembling a car steering wheel that you can use to make driving more realistic or you can use your Wii Remote and a Nunchuck for more classic control. A wheel can be purchased with the game or separately, and it requires one Wii Remote that fits inside it. 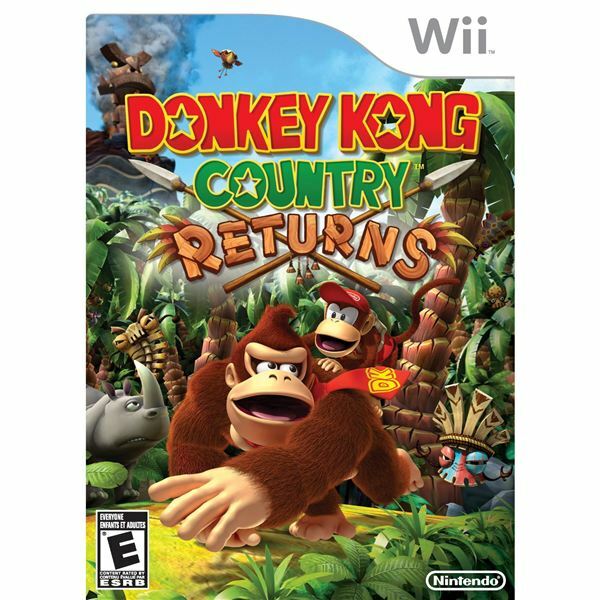 Team up as Donkey and Diddy Kong in this side-scrolling adventure to get back Donkey's stolen banana stash. If desired, Diddy can simply rest on Donkey's shoulders so he can do all the work. Each character has its own special abilities such as Diddy having a jet pack and Peanut Pop Guns. Cross Donkey Kong Island while collecting bananas along the way. Every 100 bananas you collect will earn a Red Balloon, which will give you an extra life. Swinging on vines, riding in mine carts and pounding the ground are all part of the fun while seeking hidden items such as a Puzzle Piece. By collecting all the letters K-O-N-G during each level you will earn a K-O-N-G Icon bonus. The game can be played with a Wii Remote/Nunchuck controller configuration or by using the Wii Remote sideways. Bright, vivid colors and fun, adorable characters bring the game to life and make it perfect for younger children. Read the following articles for more information on this great game. Jump, run, fly, swim and stomp your way through eight vibrant worlds filled with enemies and surprises. Four characters are available to choose from: Mario, Luigi and two Toads. All four characters can play at the same time. The game can be one of competition or cooperation as you can save other players from danger or toss them into it. As you progress through the levels, they become increasingly more difficult. Yoshi characters can be found throughout the game, and their tongues can swallow enemies and other players. There are four icons that Mario can utilize to do a variety of things. A Propeller Mushroom will turn Mario into Propeller Mario so he can fly high into the sky. A Penguin Suit will transform Mario into Penguin Mario so he can move through water and across ice. He can also throw ice balls. 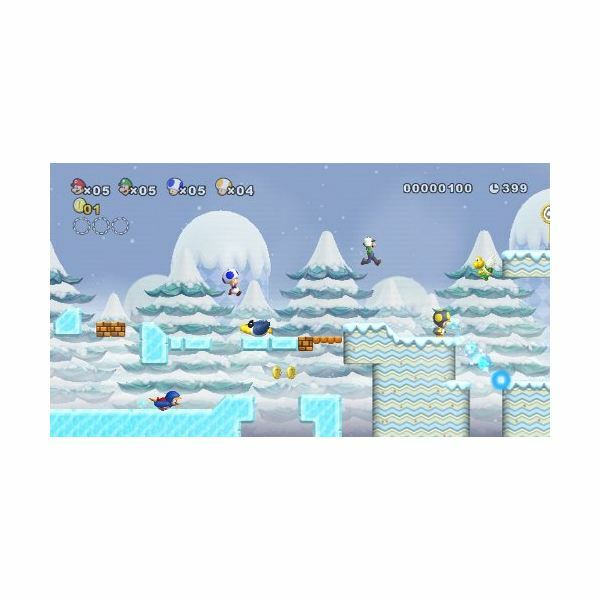 An Ice Flower will turn Mario into Ice Mario so he can throw ice balls and break ice blocks. Finally a Mini Mushroom will shrink Mario into Mini Mario so he can fit into small pipes and wander down tiny paths. Mario Bros. games are classics that you just can't go wrong with. Get more special information regarding Super Mario Bros Wii with these additional articles. Animals and children go hand-in-hand. This guide to the best video games for younger kids would not be complete without at least one game involving cute, friendly animals. 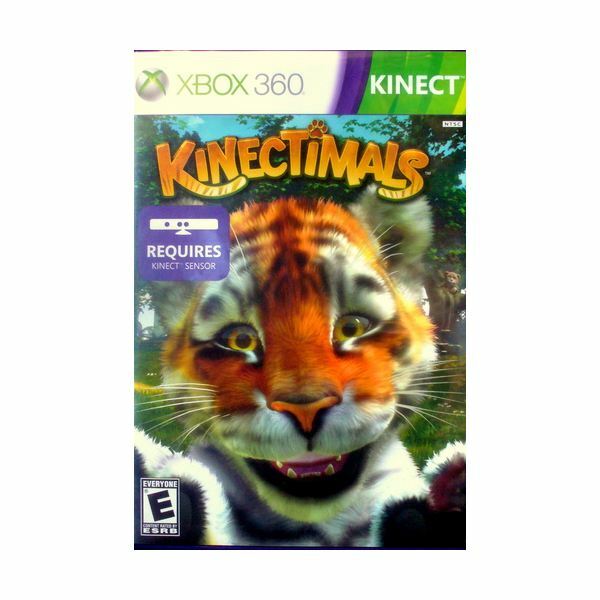 Kinectimals for the Xbox 360 also requires a Kinect sensor, which truly brings the game to life. For example, by using your hands and performing a scratching motion you will literally scratch the animal behind its ears and make it purr. Begin by adopting and naming an exotic animal friend such as a Bengal Tiger or a Cheetah cub. You can customize your pet and also decorate its home. Explore the island together as you raise your furry friend and be rewarded for your curiosity with toys and treasure. You can even discover and unlock new environments for your friend. You can teach your pet to fetch, play jump rope, and utilize agility courses. There is also an in-game store where you can shop for items to care for your friend. For more information on Kinect, try the following articles. Exploring the Xbox 360 Kinect? Professor Pester (a worm) has an evil plan to ruin parties everywhere and he has wiped out Pinata Central's computer records. It's up to you to rebuild the computer database so pinatas can be sent to parties throughout the world. You must gain control of the pinatas and the sours (harmful intruders). Welcome to Pirate Island, a land filled with over 100 pinatas for you to attract, trap, train and protect. You can begin your experience in a randomly selected basic garden, which encompasses some flowers and at least one penned pinata. Throughout the game you will come in contact with island natives such as Leafos who can help you with the game. You can customize both your garden and your pinata to truly make them your own. Plant flowers, dig ponds, or put snow in your garden to make your pinata feel at home. You can choose to play in single, multiplayer or "Just for Fun" mode. There is a Trick Stick tool available to you to teach tricks to just one or multiple pinatas. Changing the weather is possible with purchased objects. How about romance between pinatas? If you have a Pinata house and at least two pinata residents of the same species, you can let the romance begin and possibly have a pinata baby born in your very own garden. Viva Pinata games are perfect for younger kids, as the gardens are lush and vibrant, and the pinatas are adorable. View these Bright Hub articles for more on Viva Pinata: Trouble in Paradise. 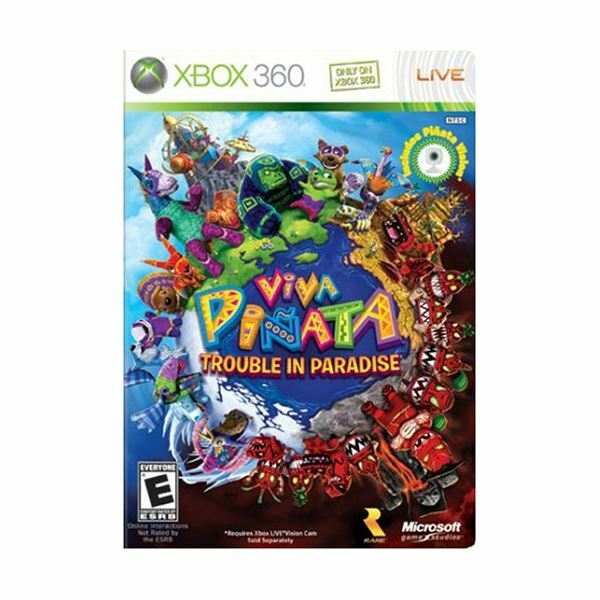 Viva Pinata: Trouble in Paradise Review for Xbox 360: Party Hard on Pinata Island! Racing to the finish line in custom-built vehicles such as a banana mobile (for the monkey AiAi), motorbikes, planes and cars is great fun for all ages. Sonic the hedgehog is joined by other favorites such as Amigo, Tails and Dr. Eggman. There are secret shortcuts to discover and obstacles to avoid throughout the game. You can also find power-ups and ground boosts to assist you in your quest. What makes racing games enjoyable for younger kids are the fun characters and vehicles, the cool racing tracks such as medieval castle ramparts and lush, tropical rainforests. Here are some additional articles about Sonic, the star of the game. Designing and building objects and places for other players to see and play in is the basic premise of Little Big Planet. The entire game is about creation with the player as the creator. You can collect creative resources to utilize in your quest. There are also puzzles to solve in the game, which is a fun way to develop problem solving skills. This is a community-based game where players meet on a planet that has individual plots on it. In the beginning of the game you need to learn your character's powers to interact with their environment. Characters can move anything in the landscape. There are obstacles to overcome throughout the game. You can choose to have your world open for all to view, or keep it more secretive and to yourself. There are over 50 levels in the game, and everything is customizable (characters, patches, and landscape). You can easily communicate with friends in the game, and there are even rankings and player comments. The following articles will provide you with more information on this great game. 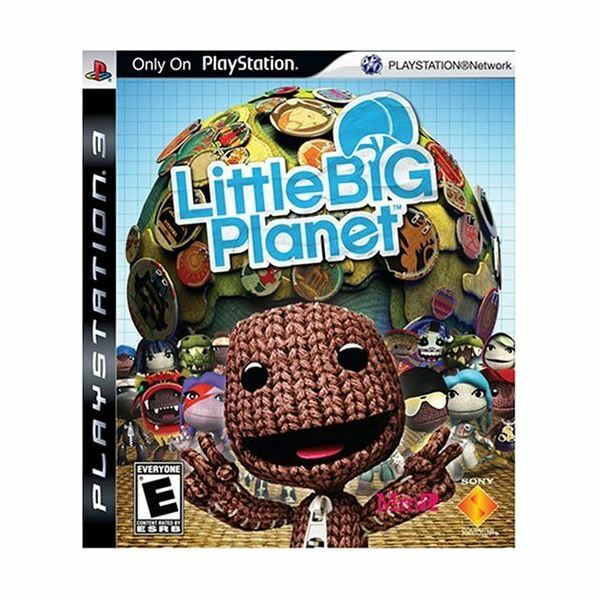 Little Big Planet for PS3: Ready to Take on the World? Racing games are always fun for kids and adults as well. The unique thing about this game in particular is that you can customize the in-game racers, their vehicles and the tracks. You can alter the head features, skin color, clothing and wearable gear on the characters. The vehicle suspension, body, wheels and interior can all be changed. In Track Studio, you can create the most exciting tracks by placing lakes, mountains, power-ups and banked turns exactly where you want them. 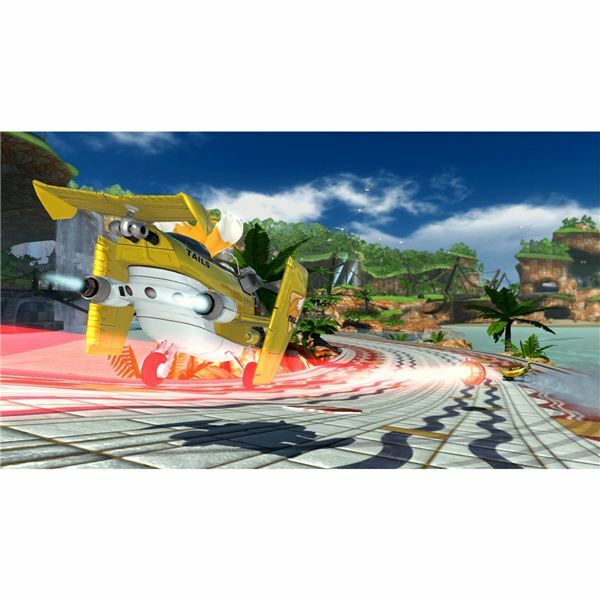 You can choose to race with combat-like racing strategies by attacking other racers with a variety of weapons, or you can select the Pure Race mode, which is weapon-free. The game can be a single player or multiplayer game. Through the online community, you can race and rate up to 12 other players' creations. Check out these other Bright Hub articles for more on ModNation Racers. 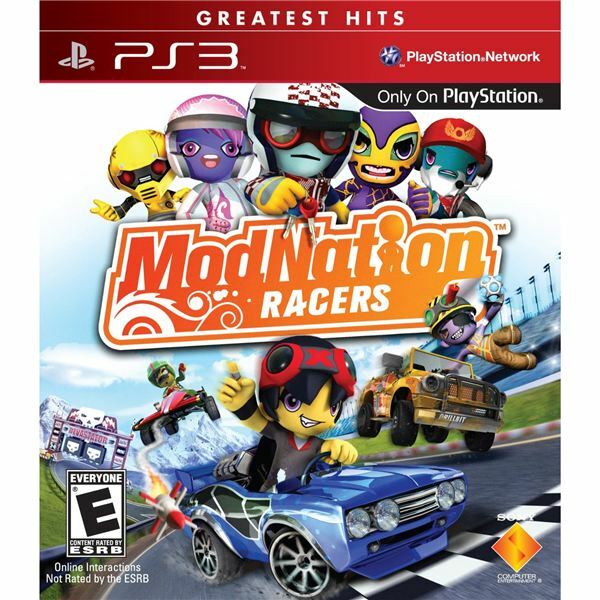 ModNation Racers Reviewed: Customization Galore but What About the Gameplay? Interacting with these life-like, adorable gremlin-type creatures is incredible. You create your new pet by adjusting the length of his fur, color, pattern and over 250 outfits. You can also draw toys to transform into 3D toys in the game. Your new pet will respond to all commands and movement. If you roll a ball for your pet, he will chase it. If you tickle your pet, he will laugh. He even purrs. Everything in the game is controlled by just moving your hands. By taking extra good care of your pet (feeding, washing, scanning his health,) you will be rewarded with special prizes. 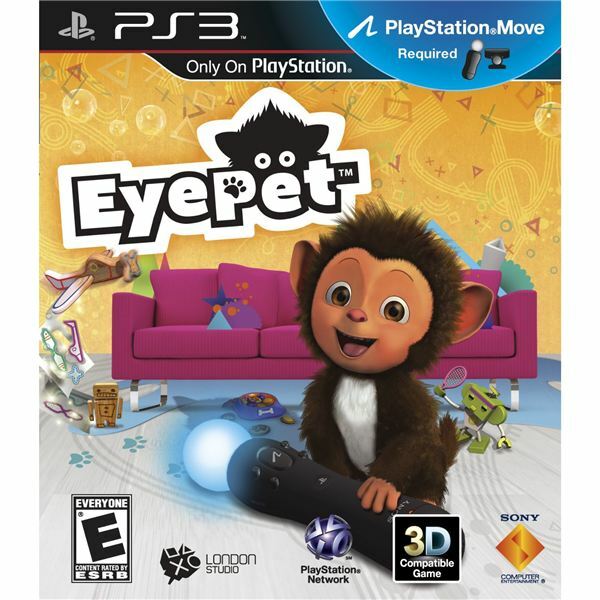 Two items that are not included with your Playstation 3 are necessary to play EyePet: the Playstation Move motion controller and the Playstation Eye camera. These items can be purchased at online retail stores where PS3's are sold. Try these articles to discover more about EyePet, the Move motion controller, and the Eye camera.